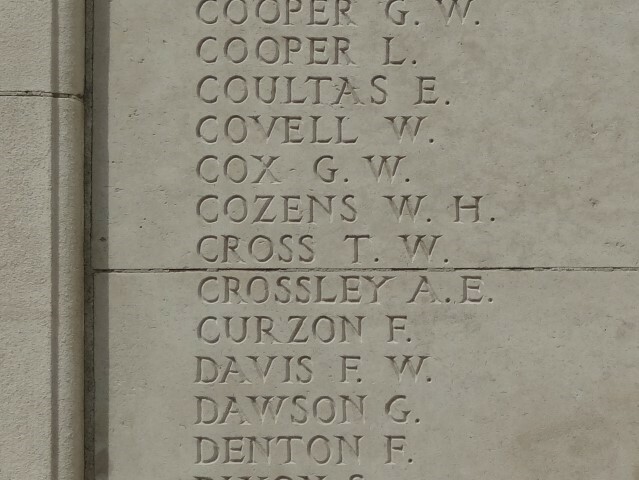 30642 Private Thomas Watson Cross, 1st Battalion, the East Yorkshire Regiment was killed in action 25 April 1918 and is commemorated on the Tyne Cot Memorial. He was 23 years old and is commemorated on the Copley War Memorial and the memorial plaque in St. John the Evangelist Church at Lynesack, County Durham. Thomas married Mary Wilson 15 January 1916 and they had 1 son, Stanley born 8 November 1916. By 1916, he worked as a colliery banksman and they lived at 3 Copley Lane, Copley. Thomas Cross enlisted 24 February 1916 at Bishop Auckland and joined the Army Reserve. He was 5ft 7½” tall and weighed 137 lbs. He was mobilized 19 May 1917. He joined the 5th Battalion, the Yorkshire Regiment 20 May 1917 and was given the regimental number 45757. He entered France 10 August 1917 and was transferred to the 8th (Service) Battalion, the Yorkshire Regiment, 28 August 1917, joining the battalion in the field 31 August 1917. Private T.W. Cross was wounded (shot gun wound to the right hand) 1October 1917 and was sent back to Britain for hospital treatment. He had served 63 days in France. 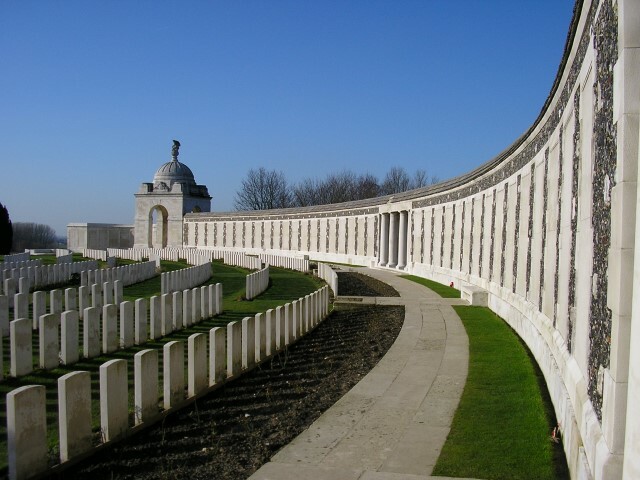 Later research records that between 25 and 30 April 1918, 1/East Yorkshire Regiment lost 78 other ranks killed in action or died of wounds including Private T.W. Cross. He was initially recorded as “Missing” then presumed dead by virtue of the length of time elapsed. He has no known grave. Private T.W. Cross was awarded the British War and Victory medals. 15644 Lance Corporal W. Holmes serving with 1/EYR, a resident of Cockfield is recorded as being killed in action on the same day. He has no known grave and is commemorated on the Tyne Cot Memorial and the Cockfield War Memorial.